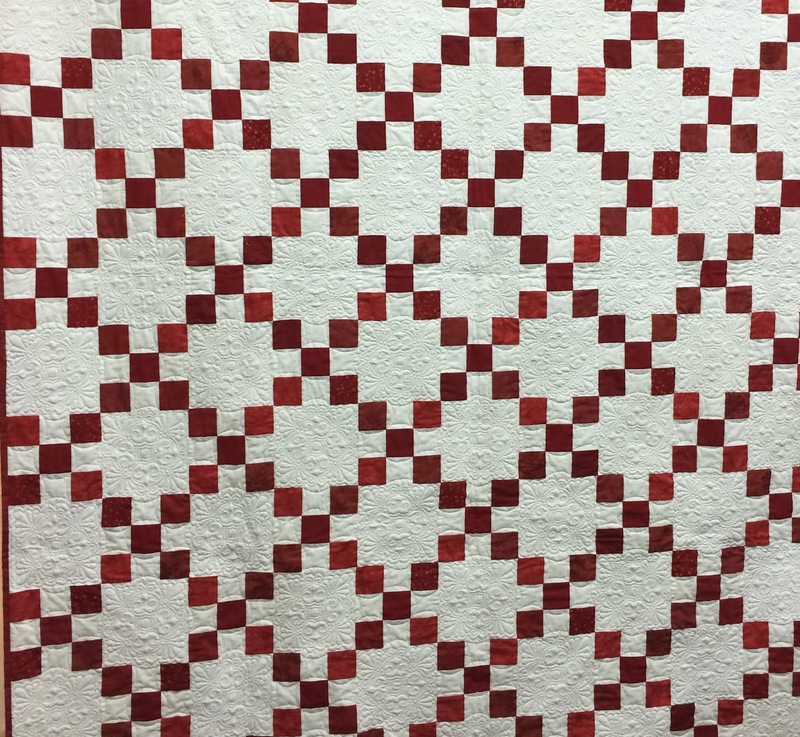 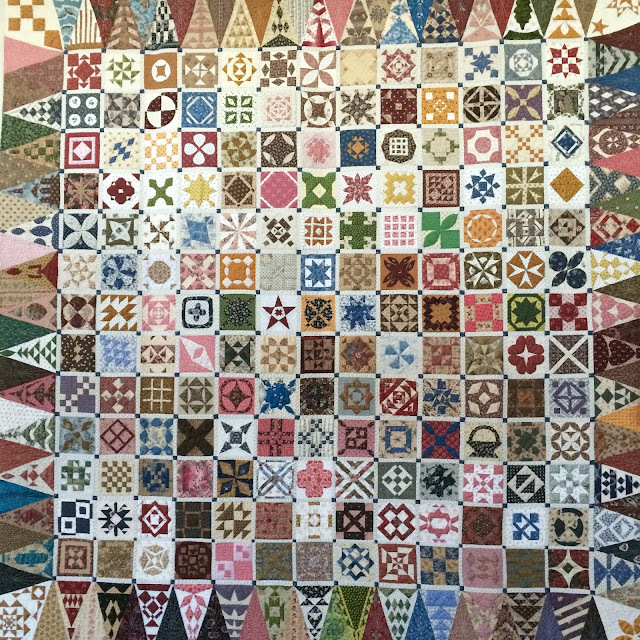 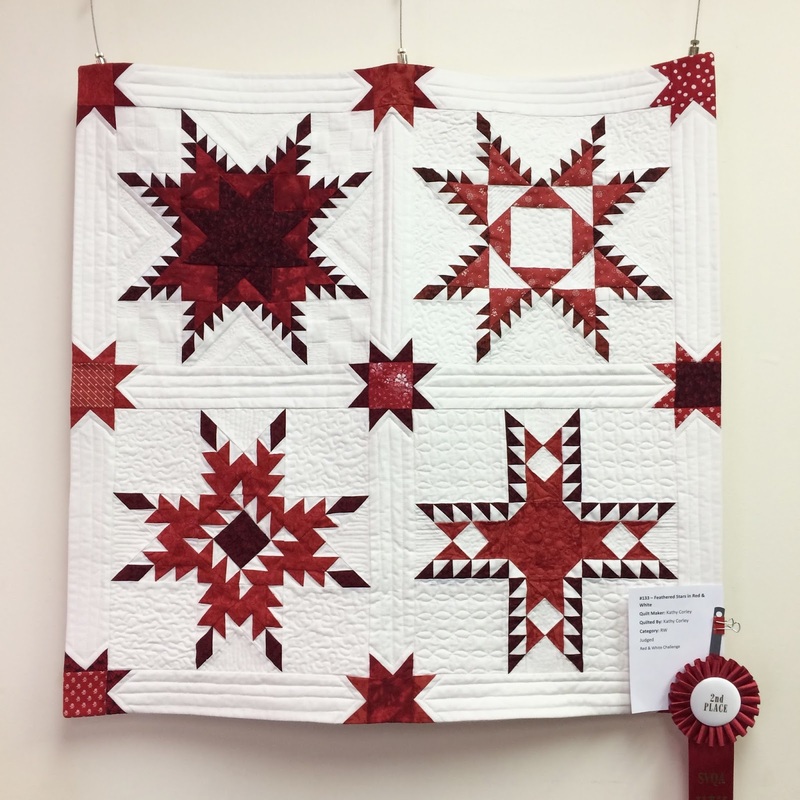 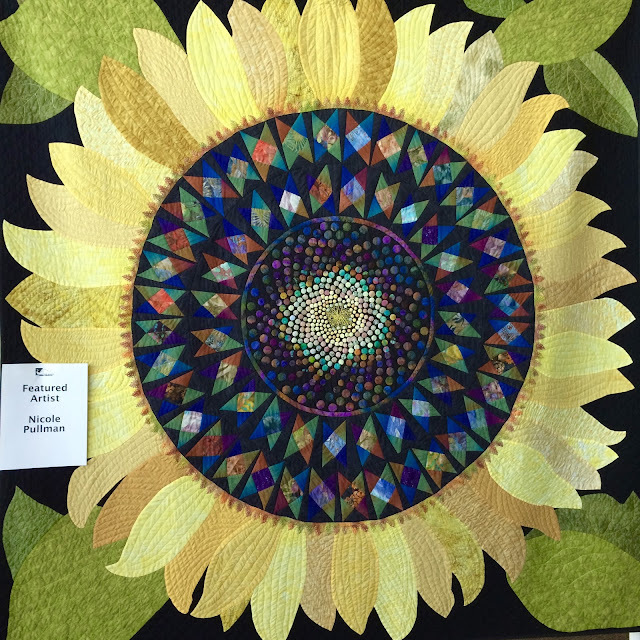 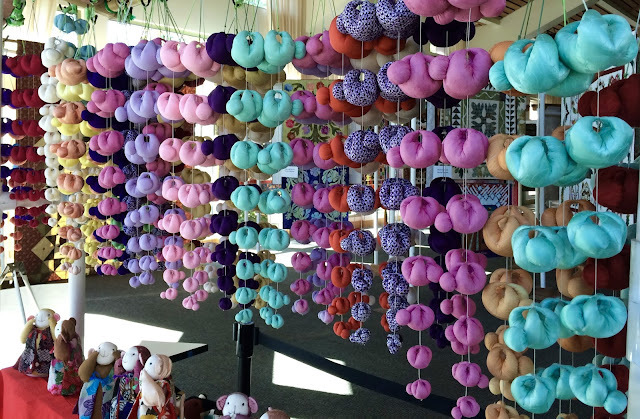 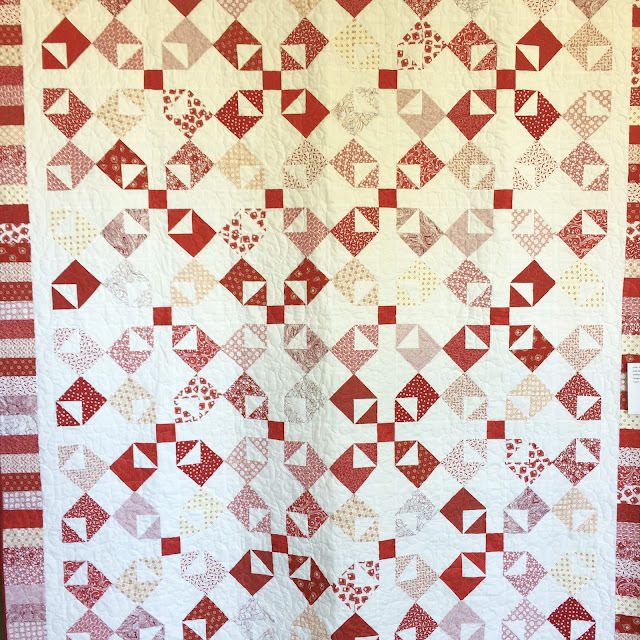 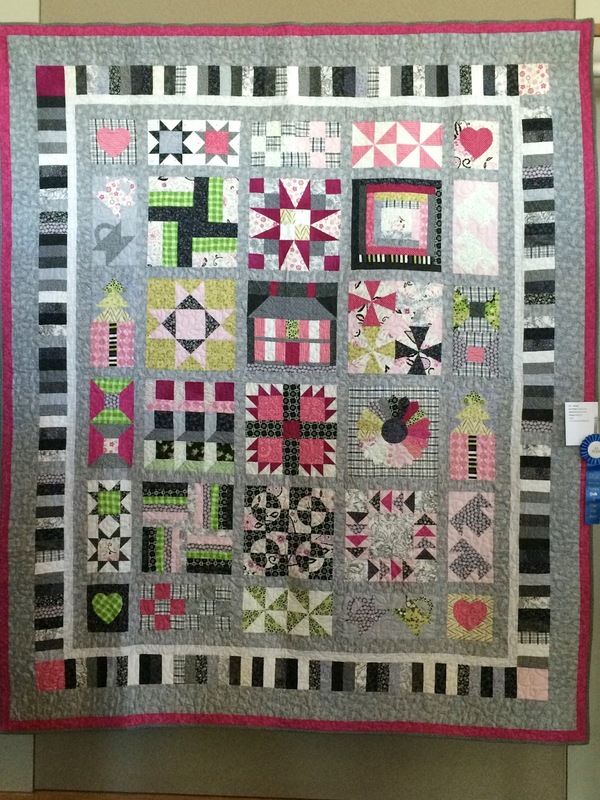 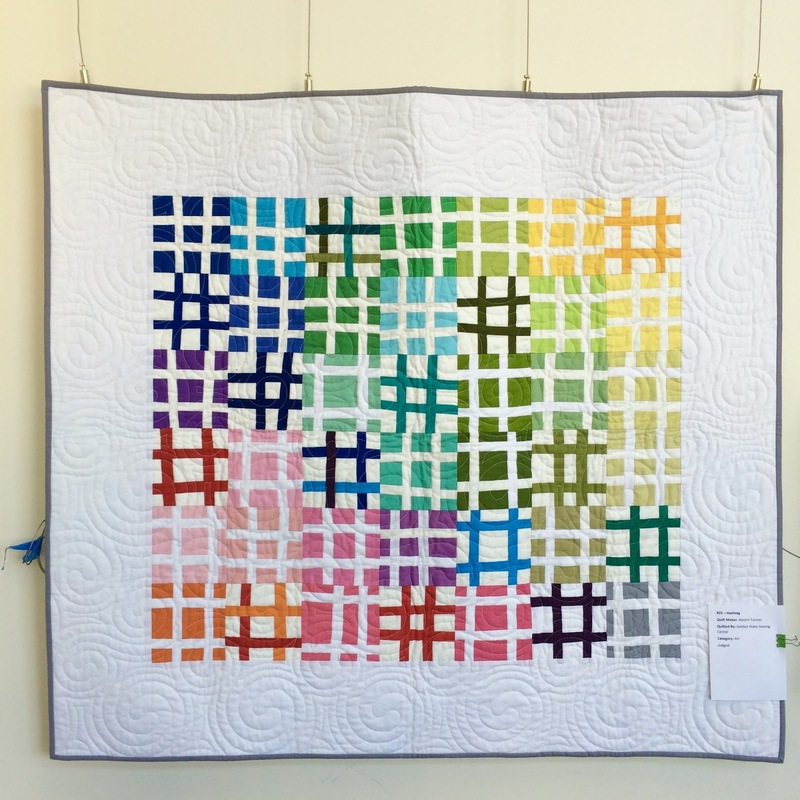 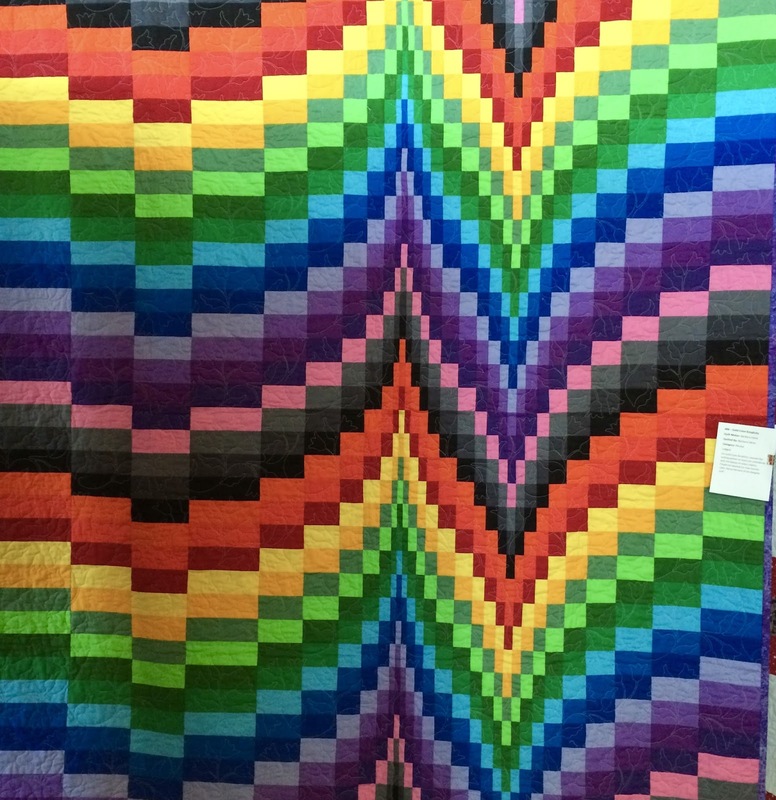 This last weekend was the South Valley Quilt Association's annual quilt show. 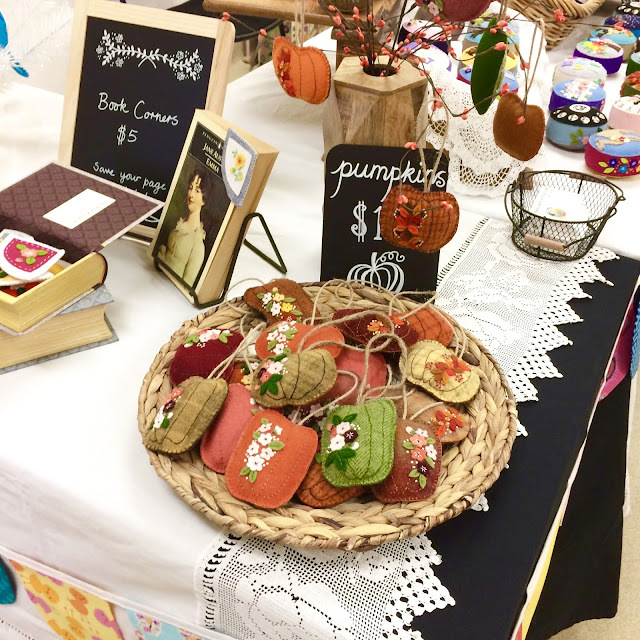 For the last three years I have been a vendor there, selling the things I have in my Etsy shop. The preparation is always a lot of work but I enjoy meeting and chatting with customers and this year I saw several people who I haven't seen for ages which was especially fun (even the person I completely mistook for someone else!). 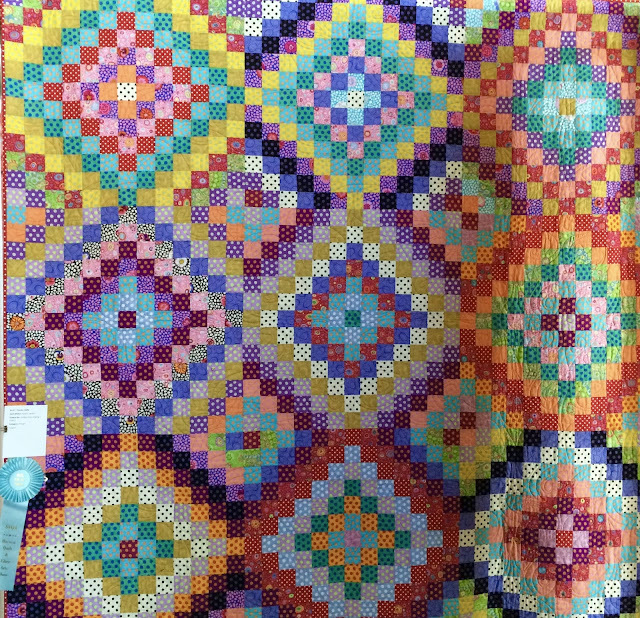 There were generally fewer people around this year which was sad because I thought the quilts were more interesting than they've been in the past. 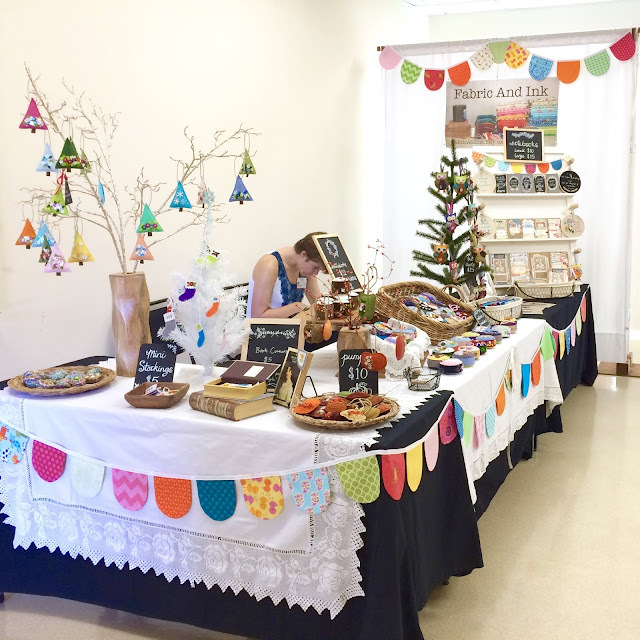 My booth looked colorful and attractive and we did pretty well. 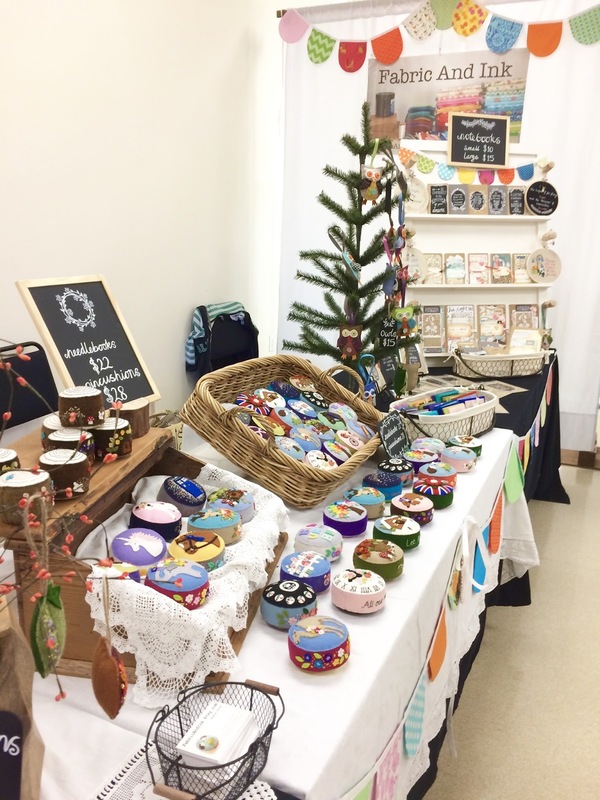 We had great vendors next to us so it was all good. 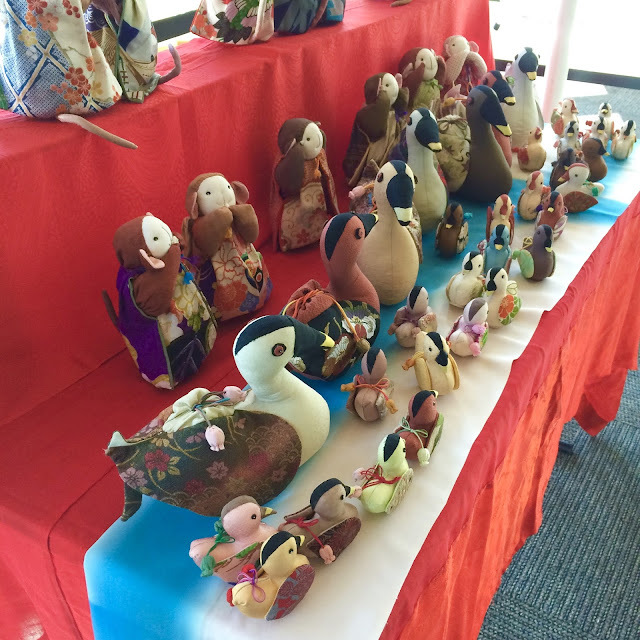 The following items were stitched by a group of Japanese ladies who live in our Sister City in Japan. 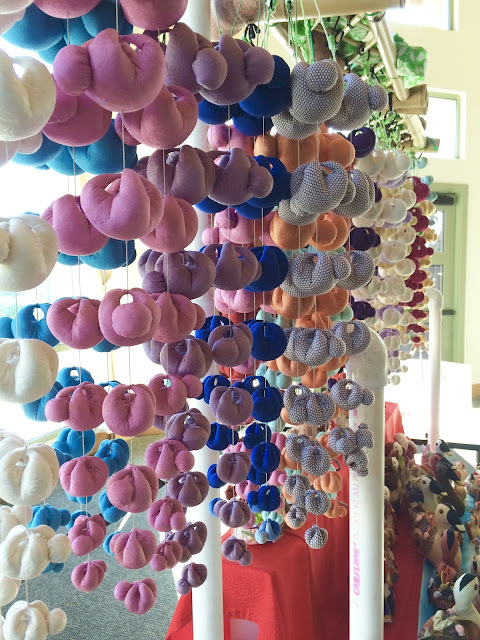 I love these little guys below!